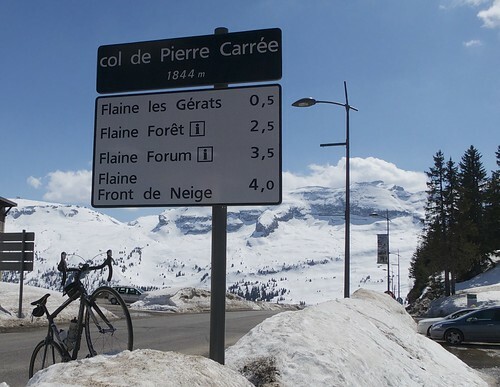 Col de Pierre Carrée is the highest Col in the north French alps that is open all year - to provide access to Flaine ski station. 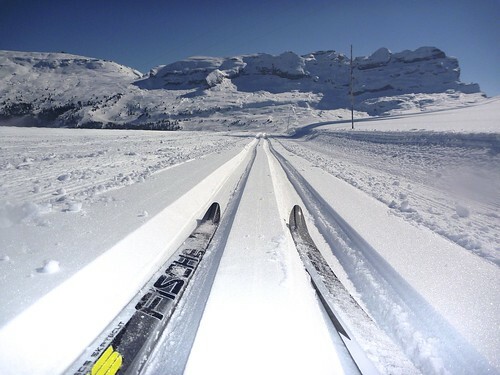 Col de Pierre Carrée is the highest Col in the north French alps that is open all year – to provide access to Flaine ski station. 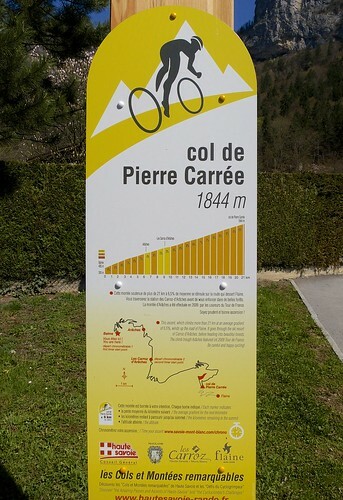 At 21 kilometres, this climb is a similar length to legendary French climbs like Mont Ventoux, Col du Glandon, and Col de la Madeleine. 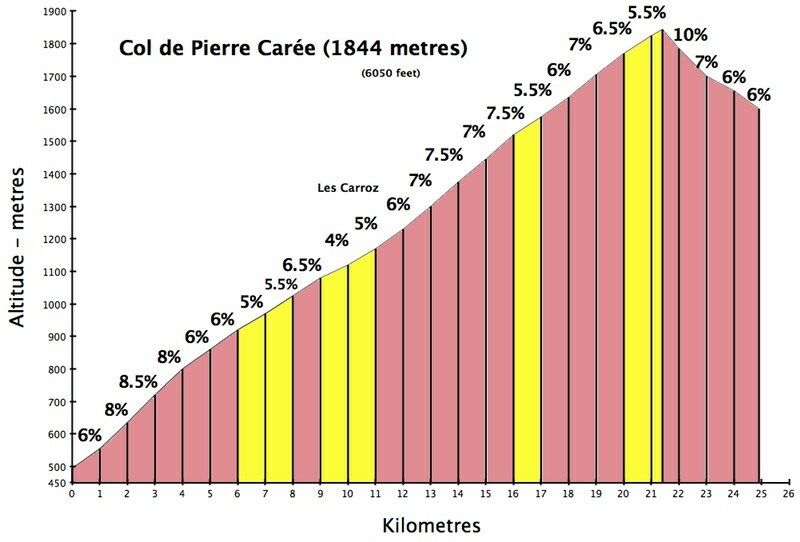 But it has a couple hundred metres or so less ascent and thus is perhaps 1% less in average steepness. 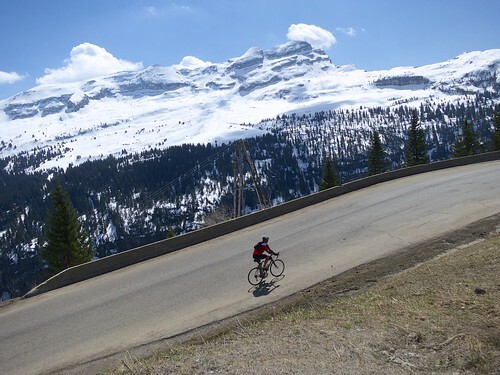 This makes it a fabulous test climb for anyone new to big alps cycling. Long, beautiful but a little easier than some very famous stuff. There was still a little summer skiing up high, and as usual there is some traffic (not much) on the first half of the climb to Les Carroz. The second half is very quiet. It’s a pleasure to climb and always fun to cycle under an active ski lift (see video below). At the summit is a little perched golf course that doubles as very scenic cross-country skiing in winter (small photo above). 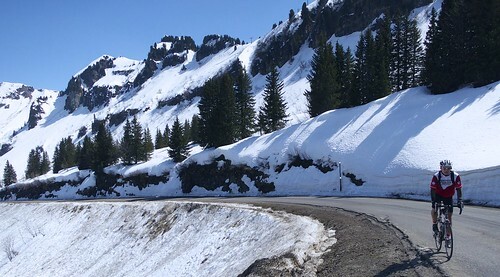 It’s worth going over the col and down the 4 or 5 kilometres to Flaine village – where the road ends. Nice hairpins and superb views.